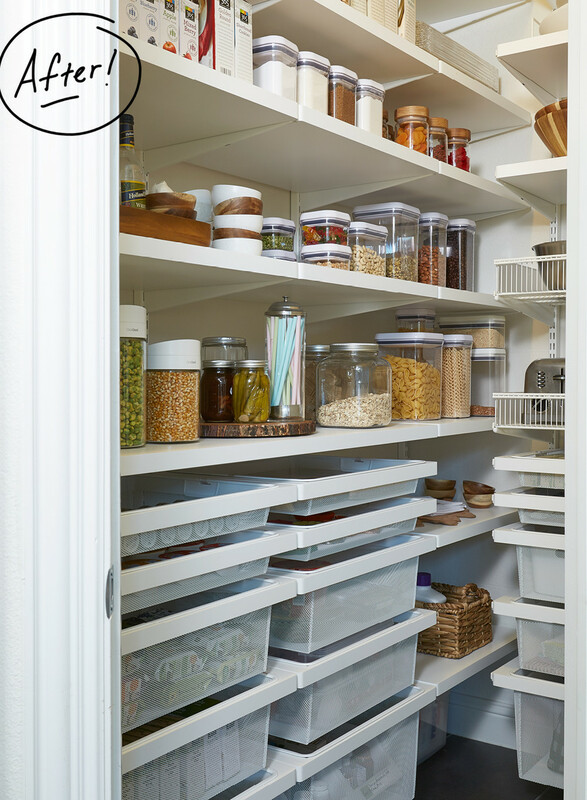 An organized pantry is an often-forgotten aspect of an organized home. Why? 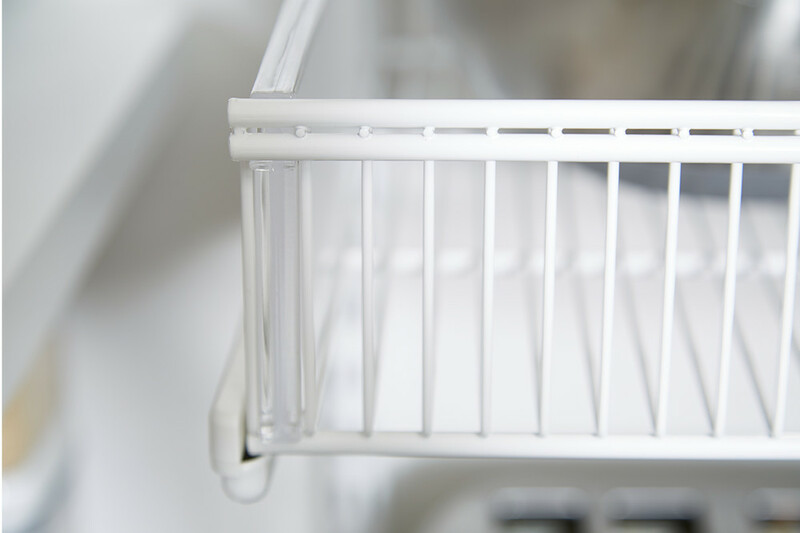 When it's easy to close the mess behind a door, these do-it-all kitchen companions often get left behind in the hustle and bustle of daily life. And without a system of organization, they can become an unruly mess that makes it all but impossible for any family member to find what they need. 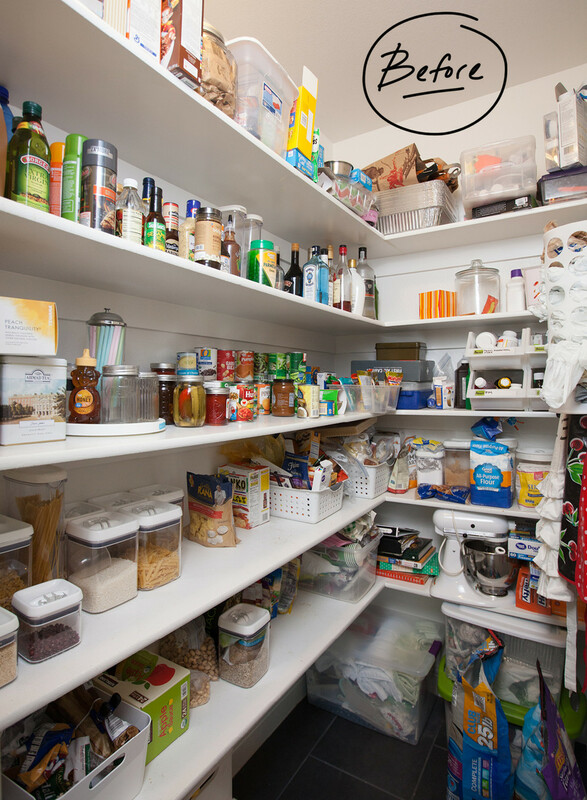 Though this wasn't exactly the case for our talented Creative Producer, Stephanie's, pantry, it was still in a state of disarray that made it hard for her to find basic ingredients for dinner, and for the rest of the family to find the snacks, paper towels and sauces they needed. Everything was in there; they just didn't know where. That's where we came in to help. Because Stephanie was working with her original built-in design, she had tried to cater it to her needs, instead of cater the design to her's. The first change we made was removing the old built-in configuration and installing elfa based on the organization she wanted in the space. 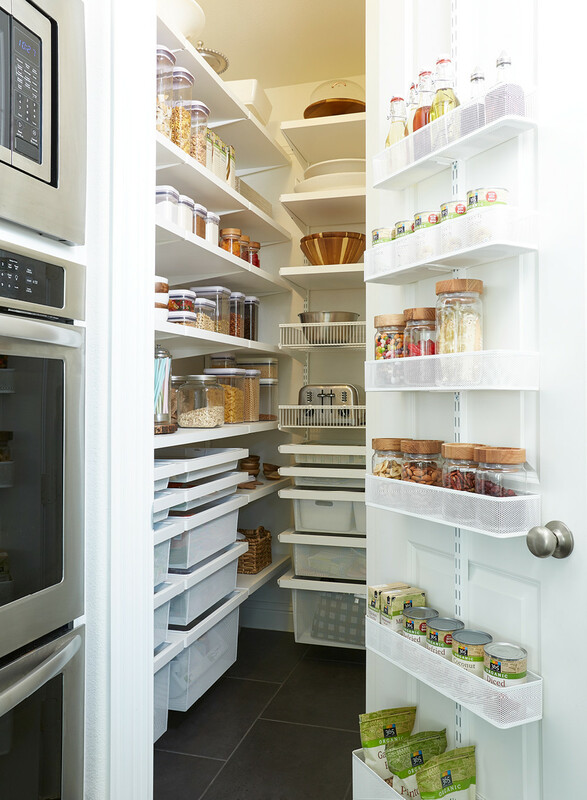 Though the pantry wasn't a mess, there was no system of organization that allowed Stephanie to easily grab what she needed. 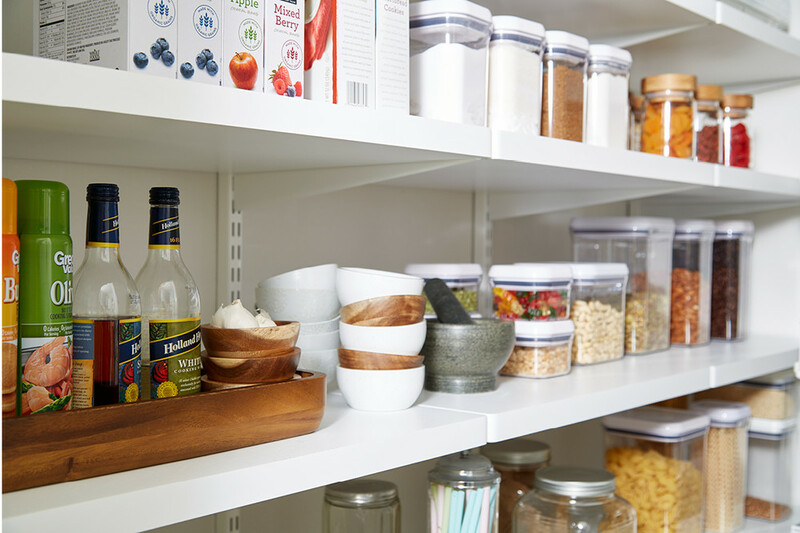 We installed elfa decor in the space, which gave the pantry a very clean and open design where Stephanie could store absolutely everything she needed. Ample elfa Mesh Drawers give her the bit of visibility she needed while still keeping a clean and uniform look to the space. 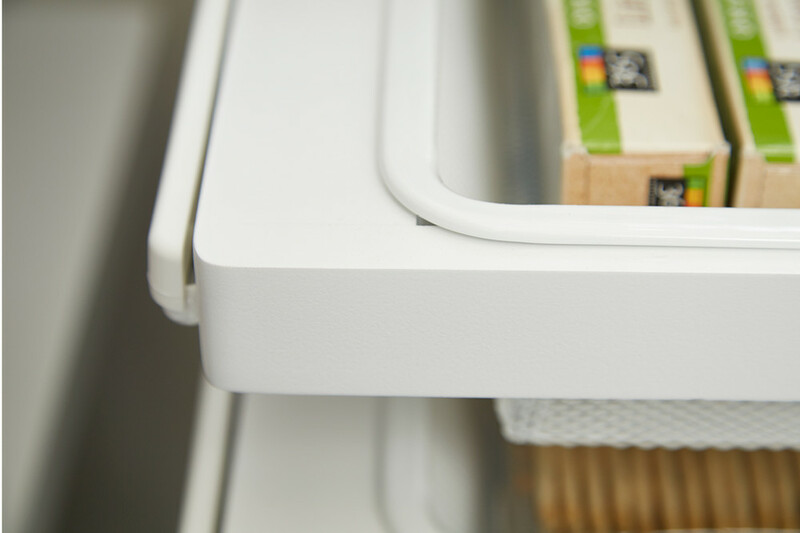 For storage that's also easy for grab-and-go situations, our OXO Good Grips POP Canisters can't be beaten. 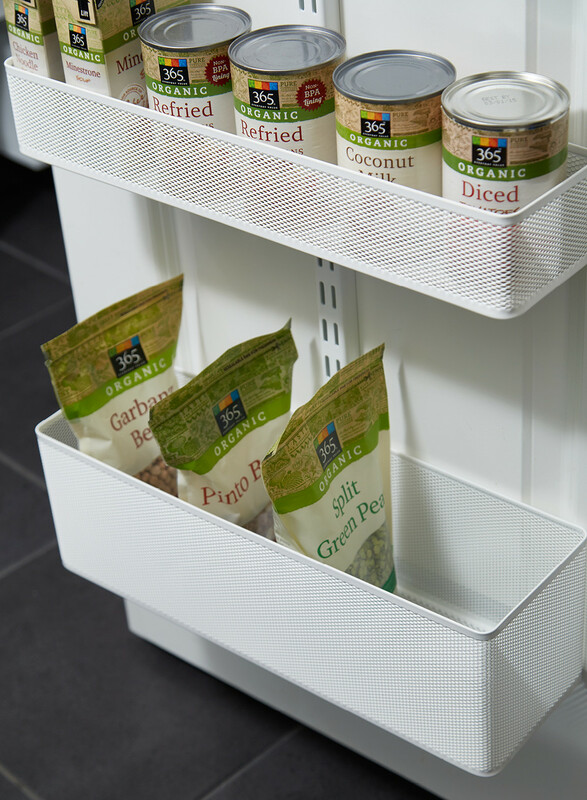 They're designed to stack securely to create a completely customized and space-efficient solution for food storage in your pantry or kitchen cabinets and are ideal for preserving the freshness of all your favorite dry food staples. The innovative lids are designed to provide the highest level of airtight seal and are a snap to open; simply push down on the button and it "pops" up so you can remove the lid. 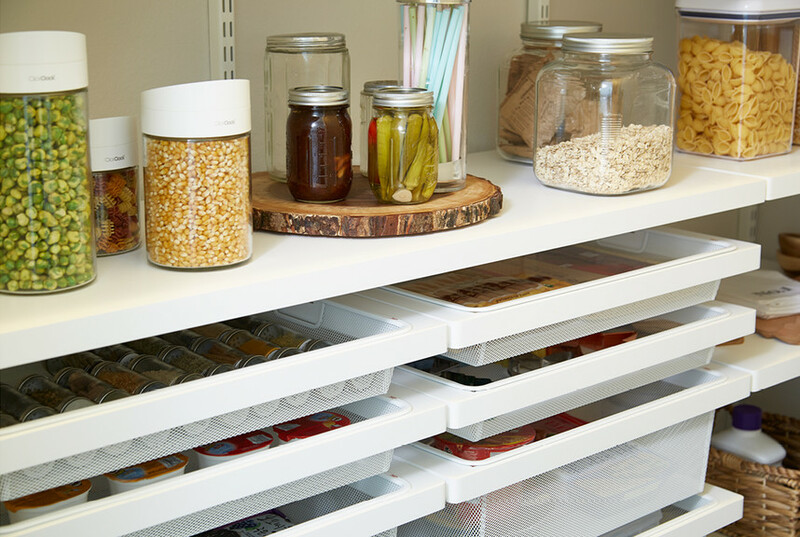 They work perfectly to store Stephanie's snacks, dry pastas, nuts and more. 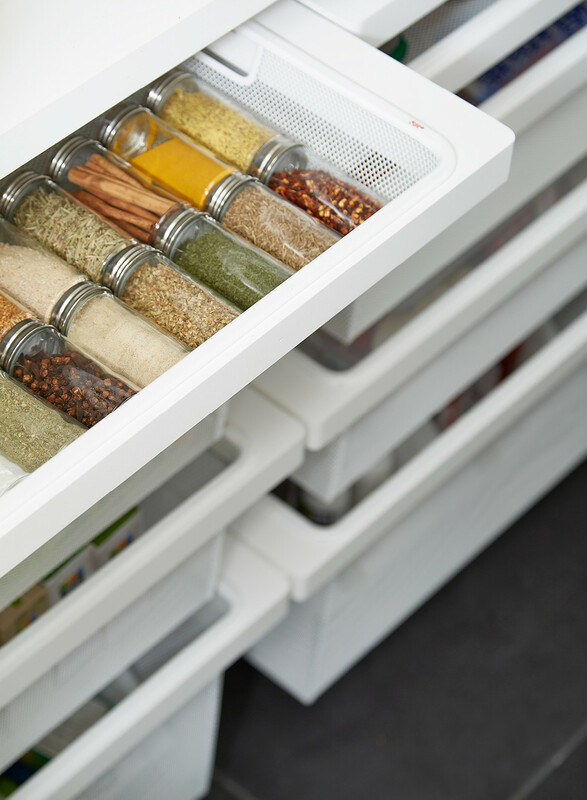 The varying depths of our elfa Mesh Drawers cater perfectly to Stephanie's needs in her pantry. And the decor Shelves make frequently used items so easy to access. 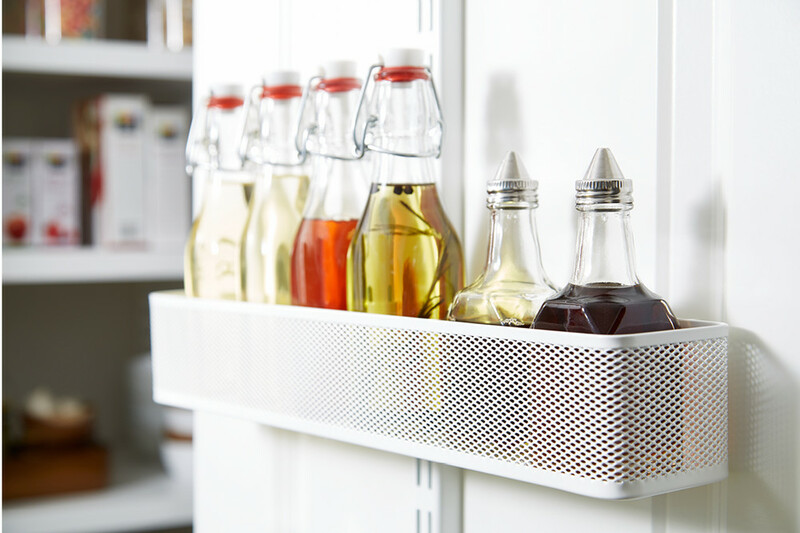 We updated the traditional spice rack storage by designating an elfa Mesh Drawer to Stephanie's favorite spices. She transferred each spice to our 3 oz. Glass Spice Bottles for a uniform look that makes each spice easy to see. The decor design gives sophistication to the functional mesh that it holds. Stephanie keeps her baking essentials together in our OXO Good Grips POP Canisters so they stay fresh year-round. 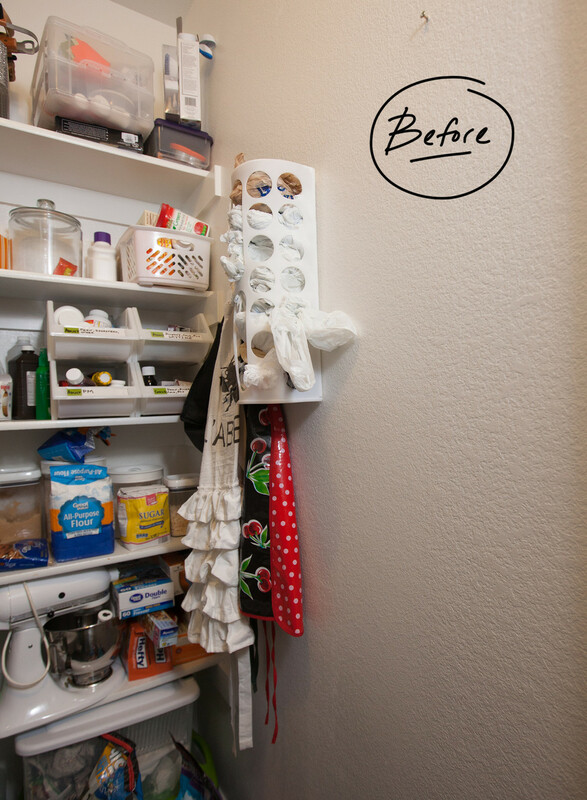 elfa Ventilated Shelf Baskets allowed Stephanie to store her bulkier items that didn't fit below her cabinets. Now her slow-cookers, toasters and bowls have an easy-to-reach place to live. The ventilated design is made of exceptionally durable epoxy-bonded steel that won't scratch or rust year after year. One of our favorite pieces to install in any space? Our elfa Door & Wall Racks! Each Door & Wall Rack allows you to create a flexible, customized storage center on the back of a door or on a wall. You can mount into to your door or install it over your door if you feel like it needs to be more mobile. 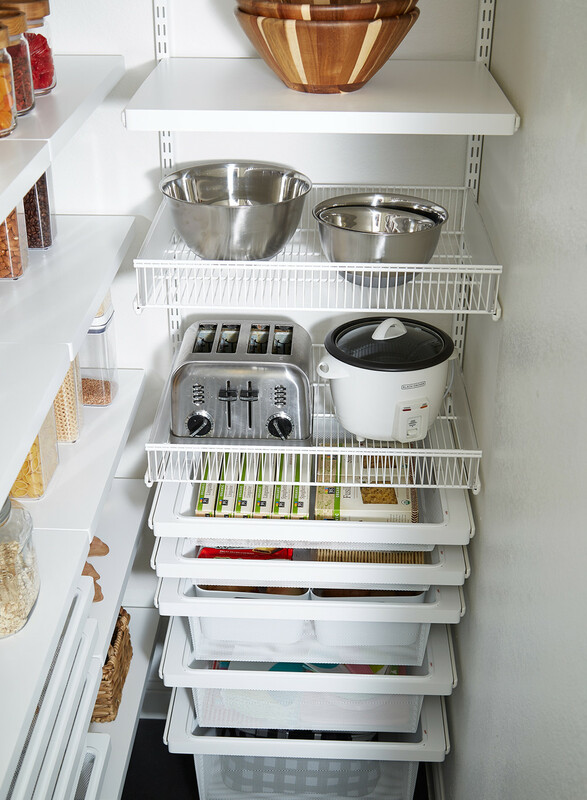 Baskets can be easily re-positioned to fit your changing storage needs and you can optimize the storage potential of elfa utility Boards with Board Boxes, Board Hooks and utility Hooks. For Stephanie's Door & Wall Rack Design, we chose to use our elfa Mesh Baskets to store her vinegars and oils that were housed in our Glass Oil & Vinegar Cruets and our Square Hermetic Glass Bottles. Now, they're all right behind the pantry door for Stephanie to easily grab and cook with. 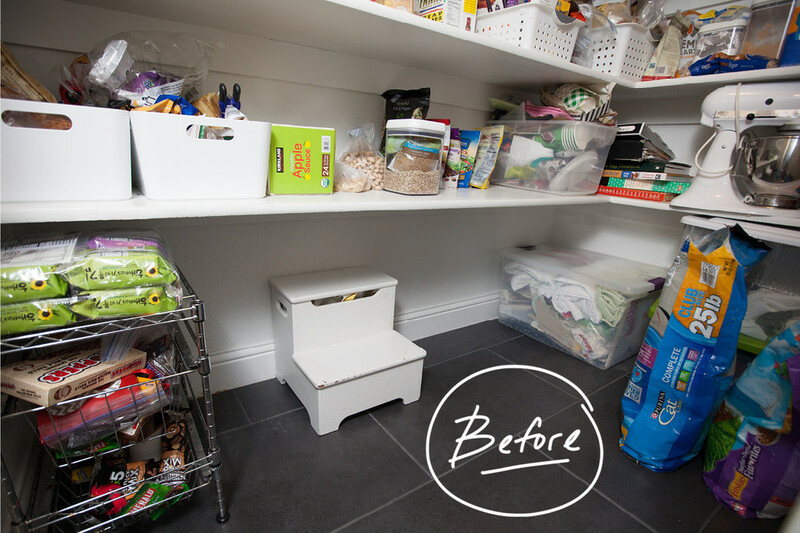 We used a few of our deeper Bins to store more of Stephanie's bulk items that she uses frequently. When she needs them, she can quickly remove the Bin and take with her to the kitchen. "The whole family loves it! 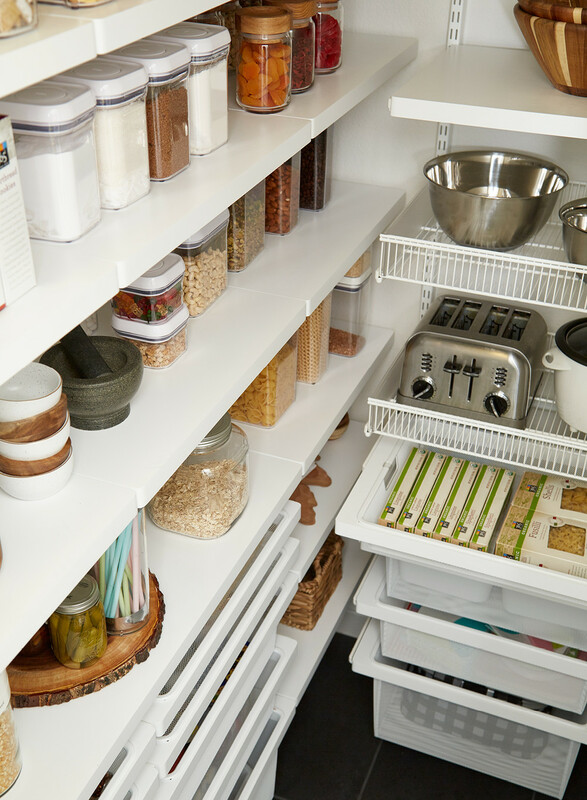 My kids can get their snacks with ease, my husband can finally find the cereal and every time I open the pantry door my organized space puts a smile on my face!" You've put a smile on ours too, Stephanie! 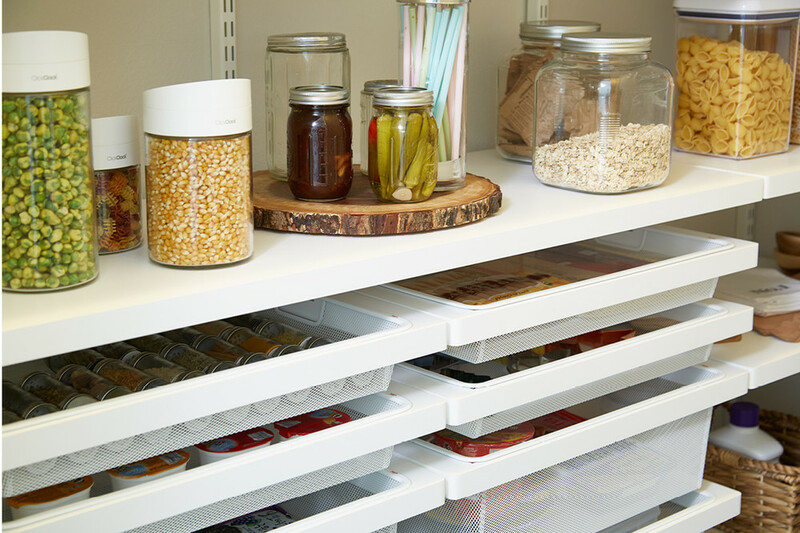 Cheers to a perfectly organized pantry in this new year!